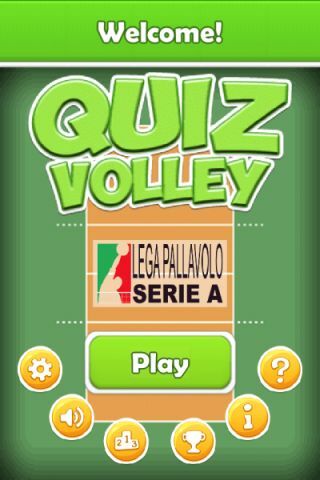 QuizVolley is the first quiz game for volleyball lovers. More than 10,000 questions about volleyball and beach volleyball from all over the world, with special effects. 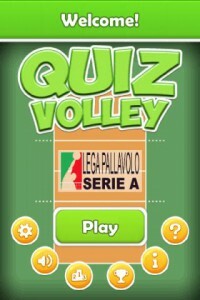 You can play Quizvolley against your friends, against unknown opponents or the computer, testing your knowledge on one of the most popular sports in the world. You and your opponent will play at the best of five sets, each consisting of 3 questions you can answer to at the same time. In case of a tie, a tie-break question will declare the winner. 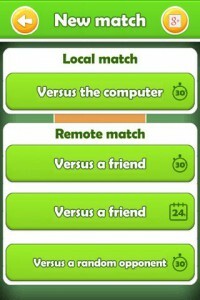 The loser can choose the topic of the next set: every game will be available in 9 subjects out of a total of 12 potential. Choose the category in which you feel stronger, or the one where you think your opponent is weaker. – At this moment there are more than 10,000 questions! – 12 categories including the Olympics, World Championships, European Championships, Beach Volleyball, Italian Men Super League, Italian women league, Guess Who, Male Athletes, Female athletes, Coaches, European Cups, Medals of Italy. 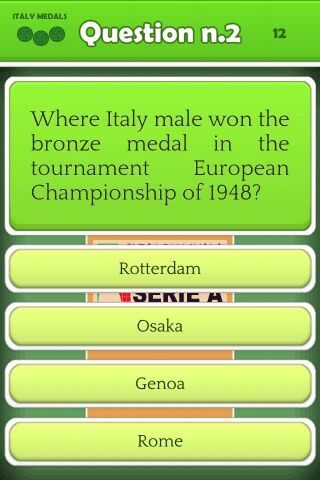 – Not only quiz: you can also guess the name of a player recognizing his or her picture! – The ranking of all players will allow you to measure your knowledge with the rest of the world!